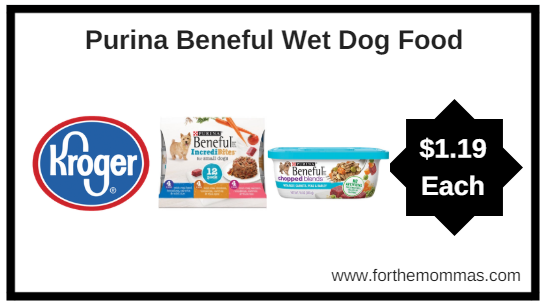 Kroger has Purina Beneful Wet Dog Food Tubs 10 oz or Sleeves 3 ct for just $1.79 each. We also have a Purina coupon available to stack with this deal that will make the final price only $1.19 each! Save $2.00 any (1) Aveeno® Body Lotion, Wash and Anti-Itch Products(excl trial and travel).